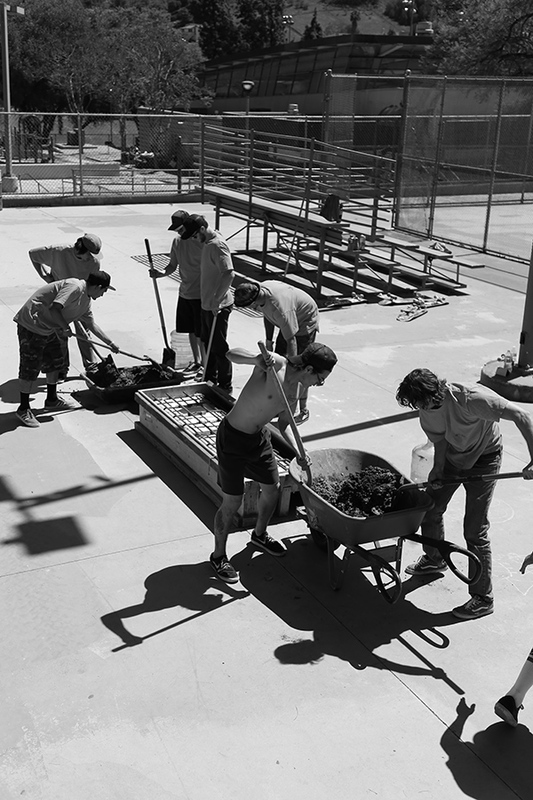 If you have followed Confusion magazine then you will have read in a previous article about what the Urban Skate Project is (check out the Bronson Ditch Project here). A group of individuals led by Clayton Graul who find places in the Los Angeles area to build DIY spots for skaters. After the demise of the Bronson Ditch project, Clayton Graul was already on the hunt for a new location. Having participated with USP at Bronson, I was also on the hunt for a new location for them. My hunt didn’t take me deeper into the woods or another ditch off the beaten path. 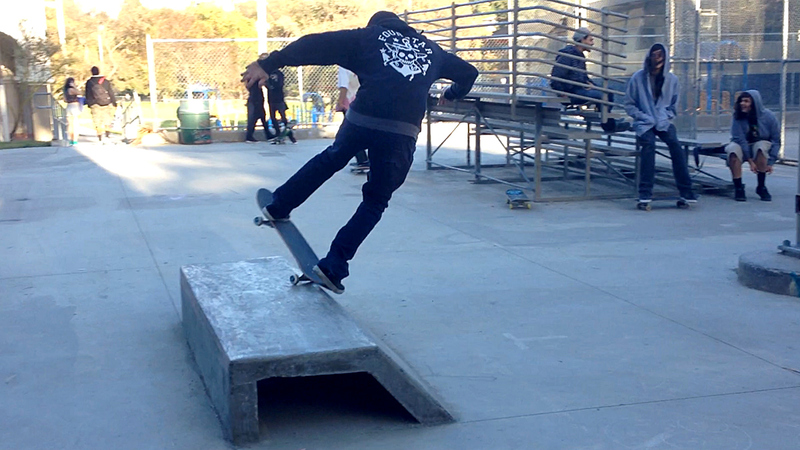 I was led right to my local prefab skatepark. 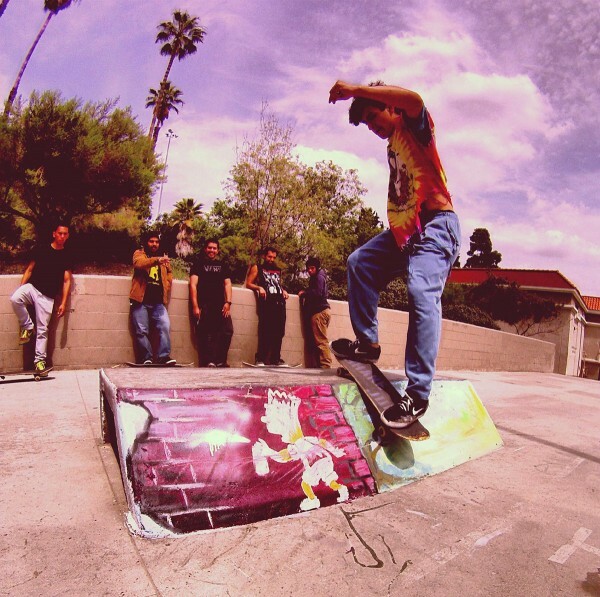 The new location for USP would be located next to the gang graffiti ridden walls and prefab park that was outdated among the many skate plazas that are a dime a dozen in the city of Los Angeles. 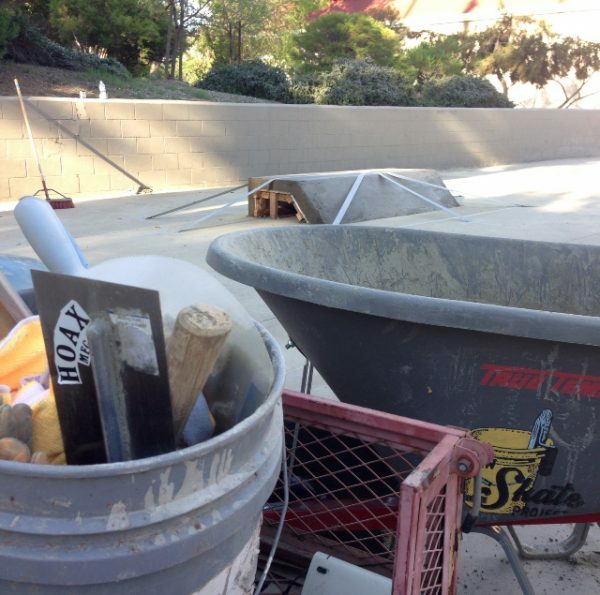 The new project would be coined El Ser DIY (El Sereno). 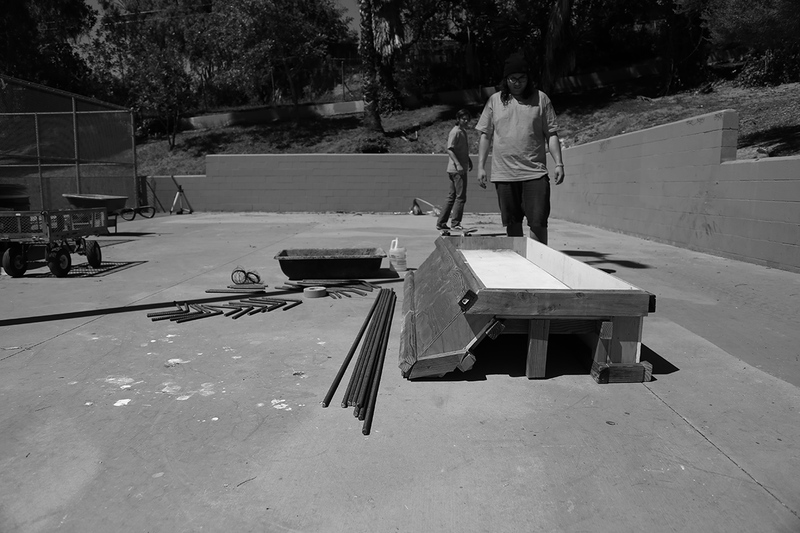 The skaters in El Sereno have been wanting a ledge to skate at their own park since it was built back in the 2000’s, but the only progress they saw at their park, came when the coping had been so damaged by bikers and the prefab material started to chip, the city began to resurface and lay new coping. The process took over a year and there were smiling faces from city officials and a big hoopla over the “Grand Reopening” as if it was a major feat. 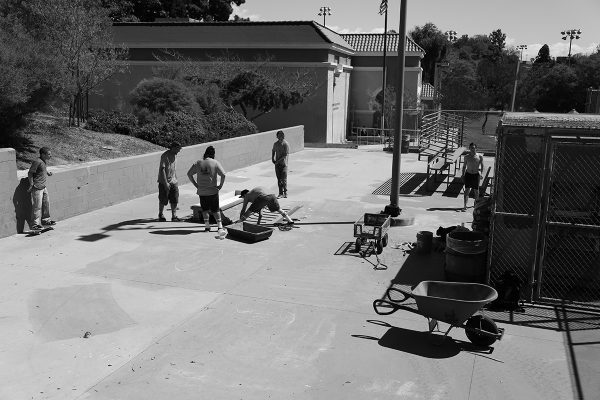 The city never asked the skaters what kind of park they wanted. They never asked if they wanted a park like so many other cities were getting. Instead they settled for a resurfaced park. Like putting perfume on a pig. Having been a resident of this area for 5 years, I felt a sense of obligation to the younger skaters to give them the option and direction of doing something for themselves as skaters and a community. I decided after the Bronson project to build a DIY ledge next to a wide-open, unused area, next to the “skatepark”. I was going to jump into the build without any prior knowledge of building. After a trip to the local Hardware store to get a cost for materials, I posted a picture on instagram of a cinderblock ledge that we layed out at the store to get an idea. 5 minutes later and still at the store, Clayton Graul calls me up. “Have you bought that material yet”? “Nope. I am still in the store. Clayton tells me with great concern “I’m not sure about those top cinder blocks”. Neither am I am “I thought to myself”. “Don’t buy anything yet. Let me mock something up for you”. 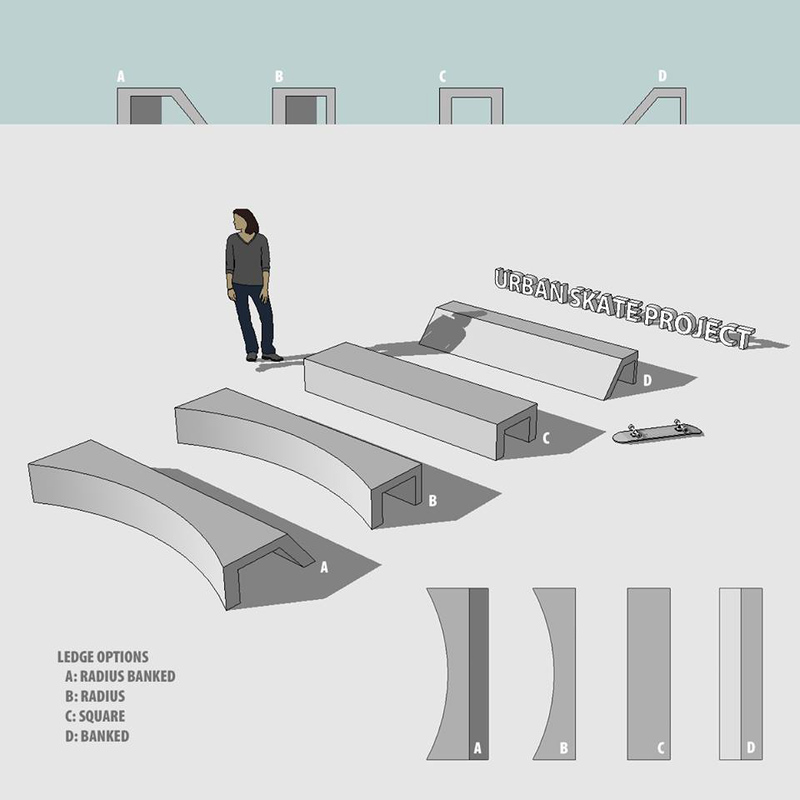 3 days later (maybe the next day, Clayton works fast) and he sends over a very detailed layout of several different styles of ledges. 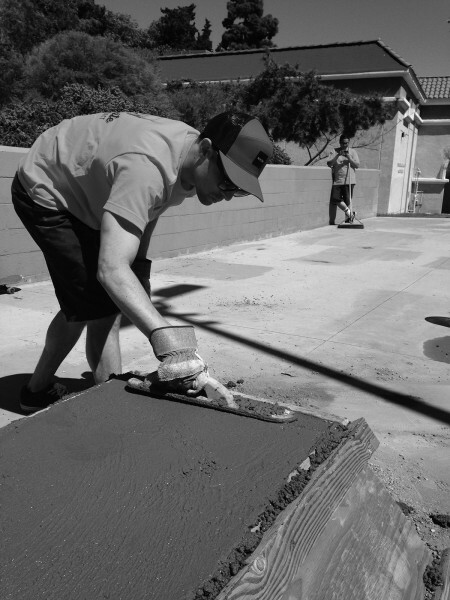 Clayton from Urban Skate Project was now involved and there wasn’t going to be room for half assing it. “Would love to put my name on something creative like this. Of course I have the standard ledge there as well.” Clayton writes to me. We were now giving the locals an option of which ledge design they wanted to build and I am going along for the ride. The majority pick design D and so that is the one we go with. The thing about doing a DIY, which I am sure that everyone who has ever done it will tell you, it is such a community effort. We were able to get all our materials donated. 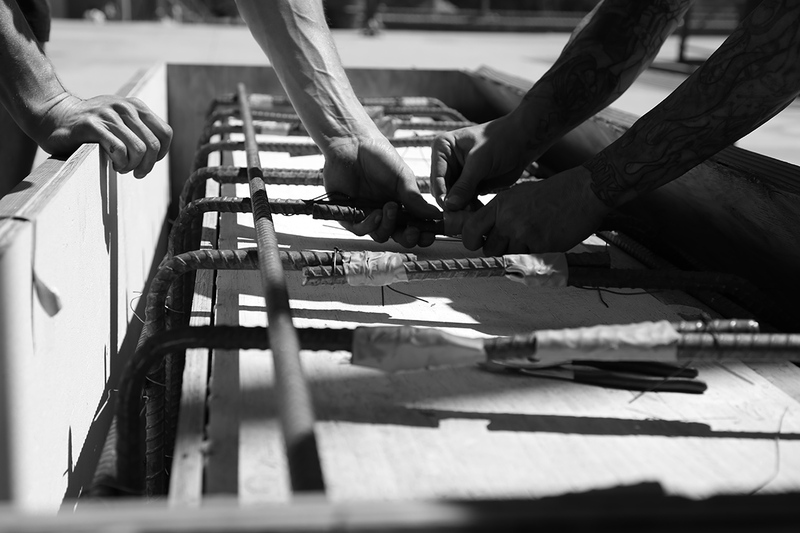 The wood for the forms (Mel Gragirena from LA Fabricators), Rebar (Michael Finn coming through with the Rebar). Cash flow donated for cement (Aaron from Hoax MFG skate clothing and USP) and locals Luis Montoya, Walatron – Ricky Chavez, Keith Lynch giving much needed money for cement too. After getting the materials comes the build and you never know how many people are going to show up for something like this. Skaters are not known for their punctuality and so there isn’t a guarantee that people will show even if they say they are hyped on the idea. The El Sereno locals really came through. They were excited about the ledge build and wanted it bad enough to work for it. Sunday came round and the build was in full effect, Orange “Urban Skate Project” shirts for anyone who picked up a shovel. Needless to see it looked like a giant Orange fruit tree at El Sereno Park. This is phase 1 of the El Ser DIY and as I type we are in the process of our phase 2. Corner bowl? Quarter pipe? Wall ride? Who knows at this point, but I do know that the locals are excited about whatever comes and most of them are just stoked that there is someone who actually cares about the skate community and they are realizing that they can make things happen on their own. That’s the DIY spirit for sure. Photos by Kasper Tobias, Bustir Keaton and Luis Montoya.